I had a rewarding job and social life, I hit the ground running every morning, but looking back, I was over-booked and struggling to keep up. As a whole I would say I was happy, but exhausted. Paintball for the first time! Since falling ill a lot has changed, but many of those things that previously defined my life still do today. It just looks different now. I'm still a child of God: I can no longer go to church, but I read my Bible, various devotionals and listen to live streaming sessions online. Many churches now record their Sunday services as well as other Bible studies throughout the week. I have connected with many other Christians online and we encourage each other and pray for each other regularly. There are many ways I can live out my faith while living with chronic illness. I'm still curious, a perpetual student and teacher: I can no longer work, I have to spend most of my time lying back on my bed or sofa, but I spend as much time and energy as I can learning and educating people (online) about this illness and how we can adjust to our new normal. I also share information about nutrition and other things I have learned. I'm still a sister and a daughter - though I am unable to spend long sessions with my family, we now live in the same country and see each other every week! I am still a friend - though most of my friends from before no longer keep in touch, I have a host of new friends I have made online. People who understand what I'm going through, people who relate and don't pity or judge or even feel uncomfortable around illness. People who inspire me daily. I'm still a blogger and a lover of social media - I now have more time to dedicate to writing and sharing my thoughts. Being as shy as I am, I find it much easier to write my thoughts and opinions down, I've always been this way. First it was pages and pages of handwritten letters to my best friends at school, then with the internet came emails and then blogs. I'm still a foodie - although I cannot cook anymore, I'm a hazard in the kitchen now! I can hunt or even invent recipes to match my new dietary requirements, it's a challenge to find things that will meet all my needs and not cause adverse reactions - I love a challenge! And I can still enjoy my meals even if I don't get to cook them. I still take photos daily. Although I am often shaky and many photos have to be binned, I take a few shots daily. To document my life, to illustrate these blog posts or share on social media. Sometimes it's just a selfie or a photo of my meal, but on better days I do try to take the more artistic shot of something pretty around the house. I'm still hopeful, joyful and grateful - It bubbles up inside me, I cannot contain it. I have an excitement about life and the possibilities each day holds. I know who holds my tomorrows and I know His plans for me are wonderful despite what this broken world and broken body throw at me. Some days I am disappointed by my body's inability to do the things I wanted to do, but it doesn't steal my joy. Even if I'm in too much pain to move, I can recall memories of fun times I've had, like the ones pictured above or I can daydream and plan for better days ahead. I still doubt myself often, but I'm more determined now to make the most of my energy and time so I tend to step out of my comfort zone more now, reach out and speak up where I would have been silent before. I'm still a people pleaser and perfectionist which means I never want to upset or disappoint anybody, but these things are part of life, you can't please everybody, and I have come a long way in accepting that. I am able to turn away from disputes (online) and intentionally remove conflict and stress from my life. It's vital now, I don't have a choice if I want to have good days. 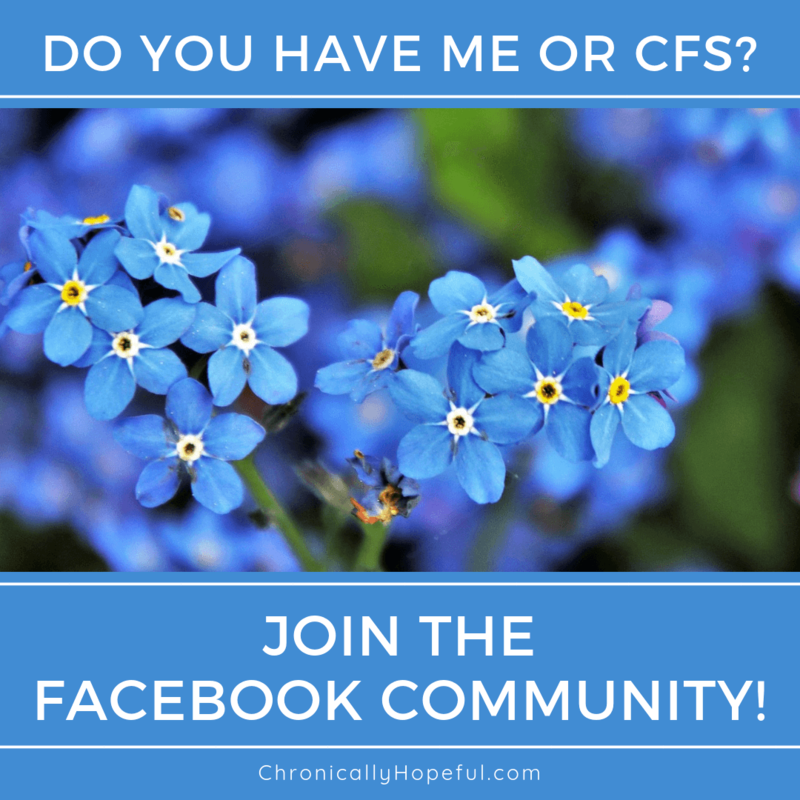 ME/CFS thrives and grows infinitely stronger in conflict and chaos, so it must be avoided. My trouble area is saying no to things. I still tend to bite off more than I can chew. I am still a carer - though I can't work with those amazing children with Autism or Cerebral Palsy anymore, I can look after house plants. See, I'm still a lover of nature! I still dress up and support causes I am passionate about - and that won't ever change - there's just less clowning around involved. There are still causes I can support and advocacy I can take part in, even from my bed. I consistently overestimate my ability and capacity to do things though. Perhaps this is a sign that I am still an optimist. I say yes to many projects and causes, but soon realise that my body needs more rest than I've allowed time for. Nothing new there. This shows that I am still a hard-worker and like to keep busy. It is something I am currently focusing on though, as it is another vital skill I must learn: say no and rest! I am no longer overweight thanks to my low carb way of eating, but according to my heart rate monitor, despite all my efforts and resting much of the day, my heart is still stressed. This is just a symptom on ME/CFS and not something I have complete control over. My living conditions and lifestyle are anything but stressful. I can however practice radical rest regularly which does seem to help. Even if only for a few minutes at a time. It is another one of my focus points this month. I am still creative! I actually have more time to play with my art and craft supplies now, when energy permits of course. There are many creative things I can do each day, whether it's painting, crochet, drawing, colouring, knitting, making graphics to share online or setting up my weekly spreads in my bullet journal. Many of these can even be done while reclined in bed! So you see, despite being housebound and often confined to bed, I am still me. My core qualities are not useless, they have not vanished. They are still there and they are transferable! If I can no longer use my skills and interests in the way I used to, there is a new way I can put those talents to use. I just have to find it. We can still shine brightly and accomplish much each day. Even if stuck in the dark, alone. I see warriors doing this daily. You can find your place and purpose too! Bloom where you are planted. It might require some imagination or even some work to get started, but most importantly, if you follow your passion, it will lead you to your purpose. Pin "I am still me"
Well said. This disease strips us of so much (and those we love of us), and yet, through it all we find elements of self that continue. Absolutely! We continue to be ourselves, it might just take on a new form, look different, manifest differently, but at our core we are still there and still have much to offer. Wishing you a happy weekend! I can so relate to this. I came down with chronic migraines last summer and my whole world changed. I changed. I can no longer do many of the things I used to do, but I am still me. Loved you post too. Thank you for linking up!